Two years after being on the receiving end of an appalling incident that remains startling to this day, former world No. 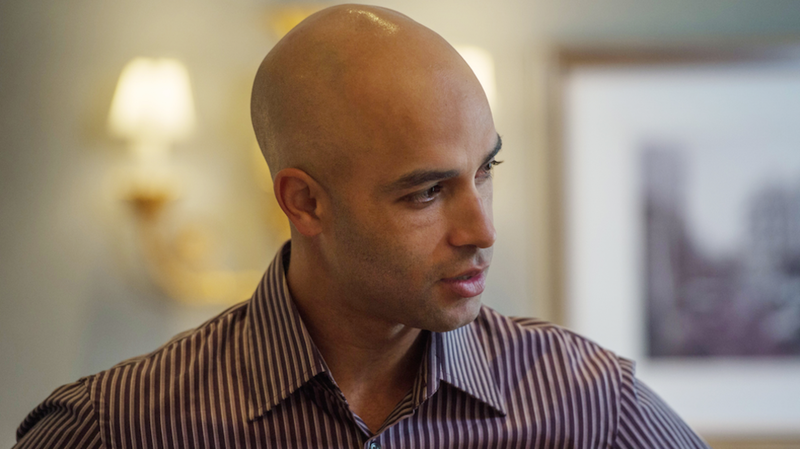 4 James Blake is moving forward with actions designed to initiate change. In June, Blake’s second book, Ways of Grace: Stories of Activism, Adversity, and How Sports Can Bring Us Together was published. Blake, currently a commentator on Tennis Channel, was inspired to write it after a case of mistaken identity. While standing outside a Manhattan hotel during the 2015 US Open, he was forcefully and unexpectedly tackled to the ground by a police officer who believed Blake was part of a fraud ring. Blake was handcuffed and detained. “I thought about how I could use that negative incident and turn it into a positive,” he says. “I thought about my idol, Arthur Ashe, and how he used every situation in his life to help others that were less fortunate. The name of Blake’s book pays homage to Ashe’s revered memoir, Days of Grace. In the pantheon of athletes that have used their elevated status to make a difference on societal issues, Ashe is clearly among the most influential. The 1975 Wimbledon champion fought for justice in the United States and abroad, and his legacy has clearly had an impact on Blake, both on and off the court. To that end, Blake has taken further action toward turning a disturbing experience into an catalyst for change. In June, it was announced that a fellowship would be established in Blake’s name to investigate police misconduct in New York City. Rather than suing the city for excessive force, Blake worked with the police department to set up the position, which the city will fund for six years. “I’m sure there is more to be done and I will continue to work for justice,” says Blake. In Ways of Grace, Blake addresses topics ranging from gender bias in sports to how athletics can make a difference in establishing a sense of community. But the main message delivered centers around activism, and how athletes have the potential to make a difference on issues that go beyond their normal scope. Blake understands that he has a platform he can take advantage of in his aspirations to help others, and believes his fellow athletes should use their own platforms to voice their concerns on issues they feel strongly about. Life lessons instilled in Blake by his parents have helped him shape his drive toward helping others. As a father, he plans to pass along those lessons to his daughters. Grateful for what he has and graceful after what happened in 2015, Blake knows that the most important work for social justice is still to come.